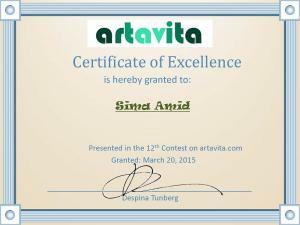 For being among the 16 Nominees out of 415 participants in the 11th contest on Artavita. Opening Reception : Saturday, April 11, 2015, 5:30 pm - 8: 30 pm. Home showcase on 2014 holiday home tour. Sima Amid Wewetzer has been invited to have her home showcased on 2014 Holiday Home Tour , because of her unique work of art, 3D Sculpture, original paintings and her interior design. This program has been organized by South West Minnesota Arts Council and Lyon County Museum in Marshall MN. 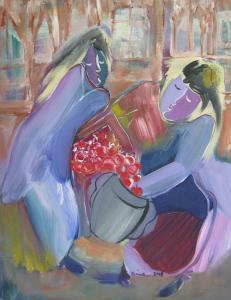 Sima will give a painting demonstration during the events. My art book is published by World Wide publishing Co. The title of the book is : American Masters contemporary 7. This coffee table book is 375 pages and is in all colors. The art book is hard cover and the price is $95+ $ 12 shipping and handeling. I am so happy and excited about it. 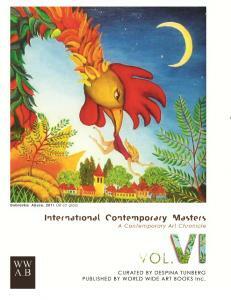 I am so fortunate that I received invitation to have my paintings published in this book. I am so happy that this book will help me to grow in my paintings. I started painting since I was 13 years old, and it is about time more people around the world to know about me and my paintings.